long weekend combining two of our favorite past times: diving and fossil finding. for the hour drive to Manatee Springs. fossil hunt at 7 AM on Sunday, heading home on Monday. Crystal River just because it is a little closer. all drove to a nearby dock where parking was $5. Off we go to see the graceful sea cows. 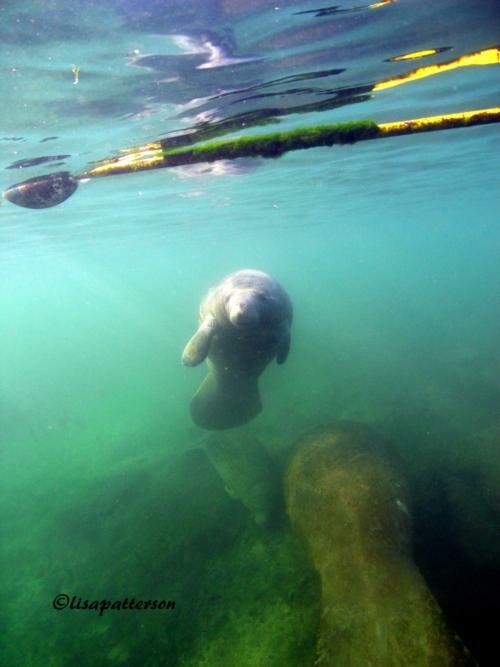 who swam up to me at the end of the snorkel. was January and a bit chilly, but not too bad. had colder water wet suits on so were good. like what I call "muck" diving. is just the "mom" in me. river was so crowded early in the morning. had a great time and found lots of fossils. she is such a wealth of information.
" does not come close to describing the "accommodations"
to load up and leave from the park after the hunt. along with the O rings, we both ordered slaw. like "Mayberry" this town might be. in an older building which had seen probably other uses in it’s past. our order was just arriving. to dive in the morning and head on home. off the tree, in an ill gotten way lol. nearer we got to the city of Bartow, Florida, the more "car flattened"
wonderful aroma or oranges stayed with us for several miles. Western near Manatee Springs state park. beds and those nice thick, comfy blankets/bed covers. Wonderful, free, full breakfast in the morning. They even have a griddle. did our check of the site and geared up. diving, and what it was like in the spring. state treasure for a day of diving. had come through from catfish hotel. Great article, love the pics. 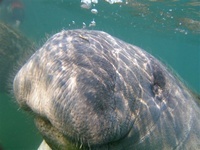 I loved our Manatee adventure as well. Everyone must do this at least once in their lifetime. Fun read! Glad you guys had so much fun! Who wants to road trip from DC area to Florida this spring, to dive?